EghtesadOnline: Figures show that Nima, the online foreign exchange system set up by the Central Bank of Iran at the behest of the government, is increasingly being embraced by traders following forex policy amendments. About $1.5 billion worth of deals have been conducted in the system from Aug. 6 when President Hassan Rouhani's administration signaled an about-face in its foreign currency policies and promised a market free of government meddling, IBENA reported. From late April when the government officially launched Nima to boost transparency on the back of its initial policy based on fixing forex rates, the system has seen about $12 billion worth of deals between importers and exporters. 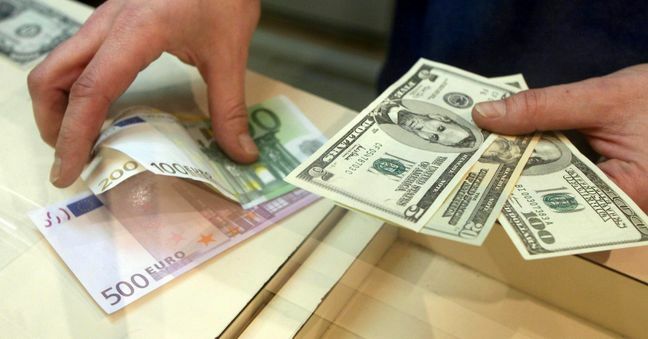 IRNA had reported last week that from Aug. 6 until Aug. 23, a total of €508 million worth of foreign currencies were purchased in Sana, the official CBI system for reporting rates handled by certified exchange bureaux across the country, according to Financial Tribune. A total of €437 million worth of foreign currencies were also sold in Sana during this period, with cash deals accounting for only 3.11% of all deals. In the aforesaid period, €566 million worth of foreign currencies were sold. This is while a total of €377 million worth of import orders were registered. On Friday, the euro was priced higher than 90,000 rials in the system, but prices have now gradually balanced to dip below 90,000 rials. The negotiated rates of US dollar in the system are reportedly set higher than 80,000 rials. This is while open market rates for the greenback and euro stood at 109,600 rials and 12,850 rials respectively on Friday. The rate of the American currency had balanced at about 103,000 rials in the preceding two weeks, but rallied on Tuesday after Rouhani went to the parliament to answer questions by representatives, but failed to convince them. However, rates in Sana continue to differ from Nima and open market rates. USD was reported at 100,258 rials on Friday while the rate for euro was at 92,160 rials. Hemmati on Wednesday published a statement on Instagram, addressing criticism about who is advising him on foreign exchange policies. He conceded that accepting guidance from economists and pundits is unavoidable, but said crafting actionable policies based on them is very difficult in light of a plethora of serious challenges, including rampant liquidity and functioning under sanctions. "I give this assurance to those who sometimes mistakenly express concerns over employing economic advisors with certain viewpoints and thought processes that, in addition to relying on a wide array of strong experts and executives at the central bank, I have and will use all the views of experts at universities and different centers in progressing matters and policies at the central bank," he said. On Friday, Parliament Speaker Ali Larijani backed the new government's foreign exchange policies and said the creation of the secondary market has created a "relative stability" in the market. "The foreign exchange market will be continuously supervised and we are also after alleviating challenges facing the production sector," he said. "The banks must first be able to overcome their balance sheet issues to be able to adequately support production." Stressing that the parliament will assist this process, Larijani called on the government to consider economic incentives for half-finished projects that should be divested for their completion by the "real" private sector. On Friday, President of Iran Chamber of Commerce, Industries, Mines and Agriculture Gholamhossein Shafei, in a letter to First Vice President Es'haq Jahangiri, called on him to revise a current government policy of allocating cheap subsidized currency to petrochemical companies and make them buy their raw materials at secondary market rates. He argued that the current policy is hurting small- and medium-scale enterprises.